With almost 75 years in the sewing machine industry, Necchi sewing machine reviews and Necchi, itself, reflect the satisfaction and loyalty of its customers whose mothers and grandmothers used Necchi sewing machines as well. Necchi sewing machines are famous for their ability to manage thick fabrics effectively. It handles such fabrics as upholstery material, canvas and denim, without the problem of overheating, which affects other machines lacking the technology or internal components necessary to sew these difficult fabrics. Advantages of owning a Necchi sewing machine include construction of durable parts that are corrosion resistant and inclusion of a 25-year guarantee upon purchasing one of these machines. 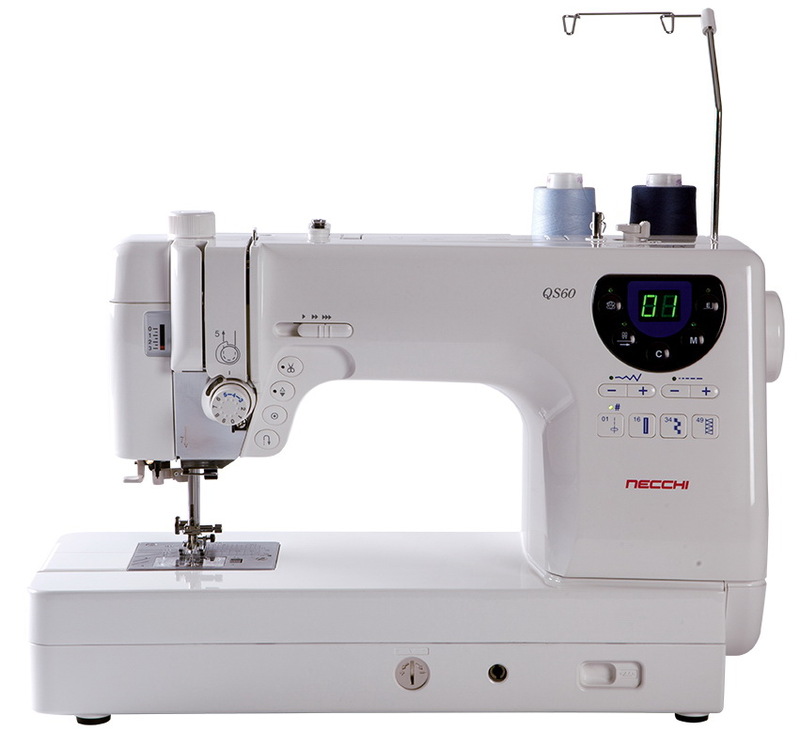 Although Necchi sewing machine reviews often discuss the price, which is a bit higher than most other sewing machines, owners say it is worth investing the extra money in one of these machines because of its long-lasting quality and issue-free operation. Necchi distinguishes its models of Necchi sewing machines from each other by different serial numbers. The Necchi NE30 Sewing Machine is ideal for anyone interested in trying a computerized machine for the first time or perhaps a beginner sewer. But don’t be fooled into thinking this is just a basic machine…. It certainly has all you need with 30 built in stitches and 7 styles of one-step button holes! As well, the Necchi NE30 has speed control, a needle up/down button, a needle threader and free arm. As you’ll see, this machine will provide all the features you may ever need for all your sewing projects! This is a heavy duty mechanical sewing machine that will handle just about any sewing project you can throw at it, including multiple layers of denim, leather and vinyl! It has a total of 22 stitches and 1 built in 4 step buttonhole. One of Necchi’s newest machines, the beautifully designed Necchi EX60 Computerized Sewing Machine will meet all your sewing needs! It comes with 60 stitches and has 4 buttonhole options. It comes with an 11 x 16” extension table, optical magnifier, needle up/down and knee lifter as just some of its many features. This machine will meet all your sewing needs for years to come! This is considered to be the top of the line in the Necchi EX series. It includes 100 stitches, 6 buttonholes, extension table, knee lift, and a huge assortment of additional features that will meet any of your sewing needs down the road!